Google Chrome 8.0 Stable for Linux is Here! Google Chrome 8.0 stable is finally released for Windows, Mac and Linux. The latest version, Google Chrome 8.0.552.215, include a built-in PDF viewer among many other stability related enhancements and major security fixes. What's New in Google Chrome 8.0? Google Chrome 8.0 now has a built-in PDF viewer. Number of stability related improvements. Fixed possible bypass of the pop-up blocker. Fixed a major issue with HTML5 databases, which made the browser to crash. If you already have Google Chrome installed in your Ubuntu, the latest Google Chrome 8.0 will be available in your repositories by now. 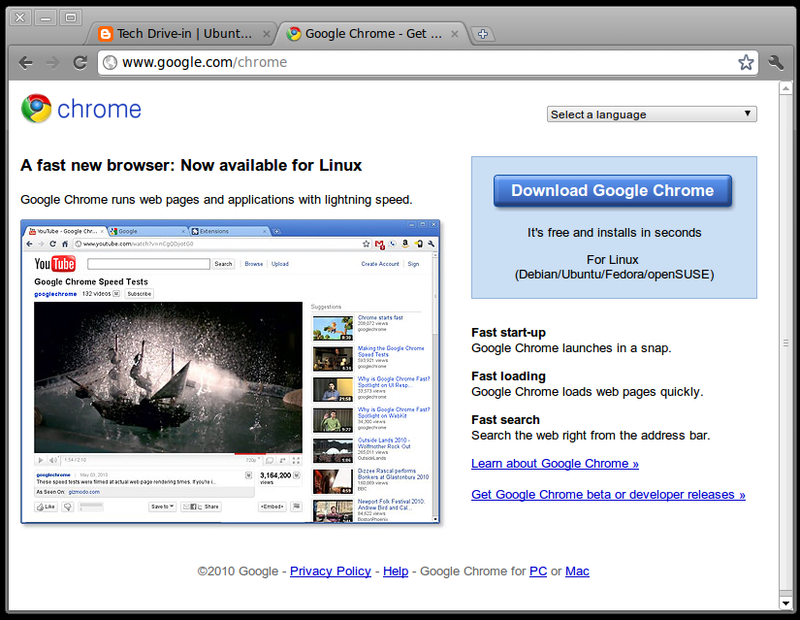 And as always, we recommend all Linux users to give Chromium Web Browser a try. It is what Google Chrome is based upon and it's obviously open source as well. Learn how Google Chrome is different from Chromium web browser.